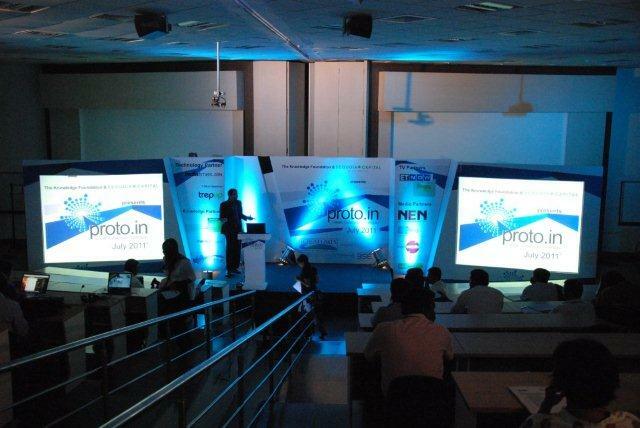 The Making of India’s Premier Start-up Event | My Way! 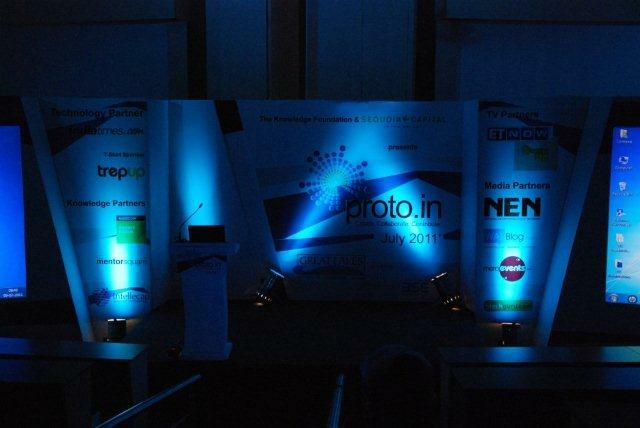 With a month to go before Proto.in, apart from the various concerns regarding the quality of start-ups, the media reach, the event manager, speakers at the event; what really was giving me and the The Knowledge Foundation Team the maximum sleepless nights was the date, the 9th of July. Not only was it clashing with Unpluggd.in another event in the start-up space (there was nothing that could be done since location availability was a challenge for both events), it was also clashing more pressingly with my brother’s engagement. The event was scheduled to end at 6:30 PM, factoring in the 2 hour drive to the city, the event had to be executed with clockwork precision. The stakes were high. Thankfully, for the most part it did. The venue we had fixed for this year was the Great Lakes Institute of Management, one of South India’s most promising B-Schools and right from the organization of the event to providing feedback to the start-ups till 1 AM the previous night, the students were a big source of support to the event and I wouldn’t be surprised if many of them become successful entrepreneurs themselves. Bootcamp got off to a slow start, but soon enough thanks to a talk on bringing out the ‘wow’ in a product pitch by entrepreneur and lead mentor John Verbic of Trepup.com, everyone was bright awake. 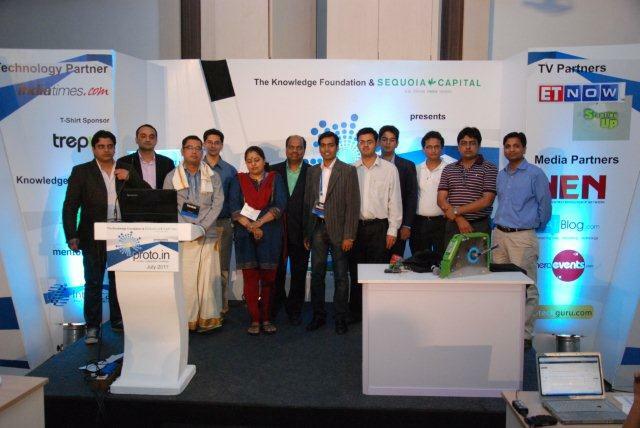 This was followed by talks on venture capital, valuations and revenue models by a star studded line-up of mentors. After a session of 1 on 1 mentoring, it was time to make our way to the main audi for a dress rehearsal of the big day. Getting used to your microphone, ensuring that your demo boots right, ensuring that the cameras are capturing the right things, each of these requires thorough planning and the settings are often different for each start-up. From 7 PM to 1 AM, one by one the entrepreneurs came out made their pitches, got feedback from both students and mentors (often harsh), some of them did their pitches twice and some of them chased John and me till we forced them to hit the sack. By 3 AM we were done, the scene was set, the start-ups were well prepared. We slept well. The big day was upon us, it was 8 AM and we still had to get the final demos from start-ups (most of them were working on it till 3 AM) and the print-outs of the cue-sheet and the videos which were to play-out were still getting downloaded from the cloud. As it often happens, the last 1 hour is often the most productive. Magically, everything came together and by 9:30 AM, we were all set. 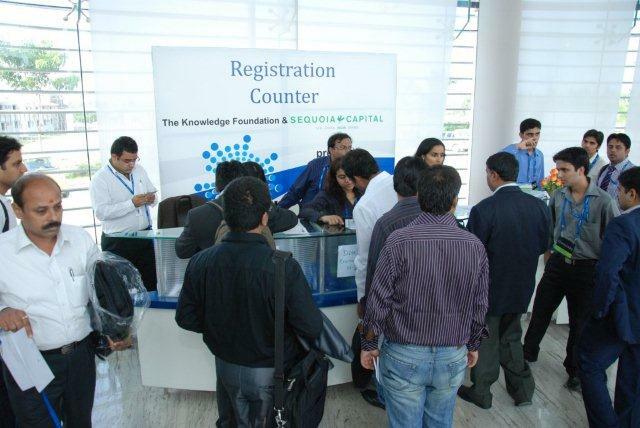 After 2 fantastic keynotes by Mohit Bhatnagar of Sequoia Capital and Naveen Tewari of Inmobi, the audience was in its seats for the showcase. 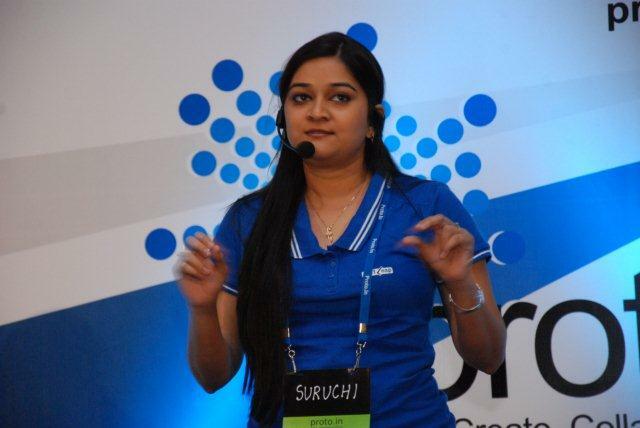 The 350 seater auditorium was at full capacity when Suruchi Wagh of Next Leap Solutions stepped onto stage to deliver her pitch. Given the intense bootcamp the previous day, the hard part was done and the entrepreneurs were at their confident best. With their headset mics, cameras, lights and their pitch being live-streamed on a platform no less than Indiatimes.com, it was their 6 minutes in the sun and boy did they know it. They say there's no business like show business, they also say that glamour isn't important in the start-up world. I strongly disagree, nothing sells like it. When the world's cameras are on you, when the lights are on you, when you know you are bring live-streamed across the internet, when that timer is right in front of you and when there's that buzz in the audience, you're a performer. And that's when the true entrepreneur in you comes out. We all love the attention, let's face it. Lights,Cameras,Action, and we were set. When Suruchi Wagh of Next Leap took to the stage, you could sense it. The audience held on to her every word. All demos worked and going against Proto.in tradition, we finished the showcase bang on time. A number of the pitches got applause, some of the questions were inane, some tough but broadly all of them made extremely solid pitches and they all lived up to the occasion. Both John and me were extremely proud of the presenting companies and what we had seen. The post-lunch session saw some interesting panels around early stage investing, the new BSE SME Exchange and scaling a product company. There was no doubt though, the showcase in the morning was still the point of discussion. Me and my colleagues at TKF are often asked how we ensure the companies we pick at Proto.in always impress, how the pitches always seem well crafted, how we arrive upon the right formula for the videos and how all these moving parts work together to make for a synchronized production. The truth is, we’ve learnt from our pride and joy, our entrepreneurs. Absolutely everything has gone wrong on stage or outside of it at Proto.in at some point and just like entrepreneurs pick themselves up, we’ve managed to do that too, learn from experts in the space, get down to the most minute details and ensure we pull of a show our entrepreneurs would be proud of. Till next time, yes. Power to the entrepreneurs! And if you were wondering yes, I did make it to my brother’s engagement on time. If I cut off any of you while on stage, this should explain why we were all in a tearing hurry! A paraphrased version of this also appeared in the Economic Times here.